Increase your success with your learners, family or co-workers. Learn to teach effectively and efficiently with fun for you and your learners. Learn how to get more of the behavior you want. 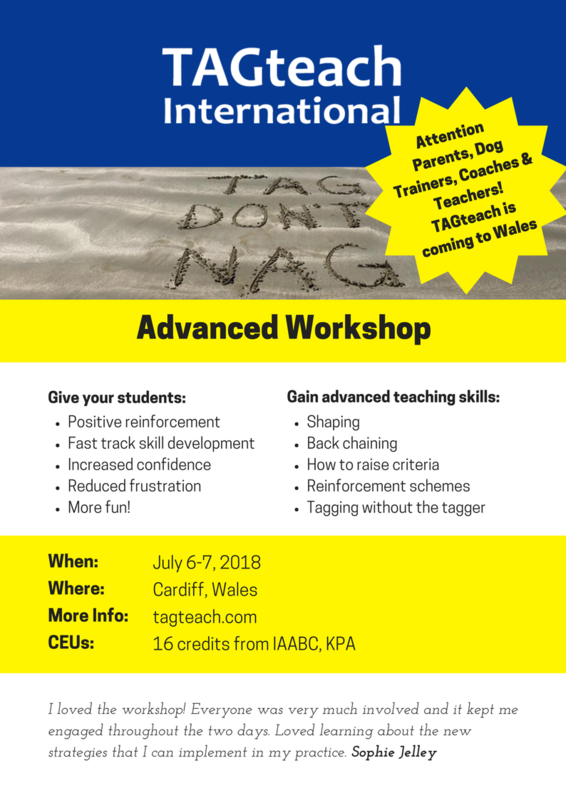 Take your TAGteach skills to the next level in this high intensity, hands-on workshop with TAGteach faculty member Luca Canever. Registration (and tea) starts at 8:30, the workshop starts at 9:00. Meet your presenter: Luca Canever! Luca is a scientist and long time TAGteacher. He is experienced with many TAGteach applications including various sports, classroom and special needs teaching. Luca has led many events and webinars for TAGteach and he has particular interest in the neuroscience of TAGteach and learning. Ask him about how the brain learns! IAABC, KPA - 16 credits! Facebook Event - join if you're coming or thinking about coming. Chat to other attendees and the host. Plan your activities and prepare for the fun ahead! Do I Need TAGteach certification to Attend? 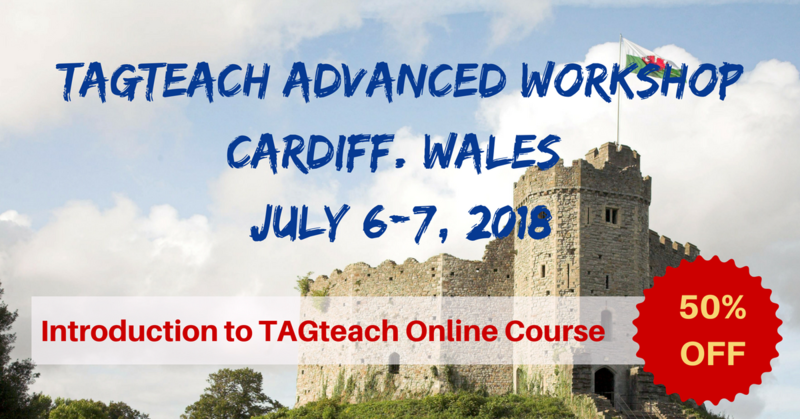 You don't have to be a TAGteacher, but it is an advanced workshop, so you do need some background. If you're a behavior analyst or a clicker trainer, then you'll be well on your way. In that case we'd suggest that you take our Free Fundamentals of TAGteach online course before the workshop so that you are up to speed on the basics since Luca will not be able to spend much time on review. If you're completely new to TAGteach and the principles and application of behavior science, then we'd really like you to take our Intro to TAGteach online course before you come to this workshop. You can register for this for half price when you sign up for the workshop. You can get your Level 1 TAGteach certification from this course if you hand in the homework and videos and pay an additional $75 Certification assessment fee. TAGteach International had discount agreements with KPA and FPPE. Please get the discount codes from the member area of your organization. TAGteach members will automatically get a discount. There is no need for a code if you register using the same email address you us for your member login. We offer discounts to Special Olympics Coaches, teachers of the visually impaired and students. Please send an email to joan@tagteach.com with proof of your status in one of these groups to get the discount code. We'd love to be able to offer discounts to all non-profits, but for financial reasons we are not able to do that at this time. We keep our prices as low as possible and there is a limit to the number of attendees so we're not able to offer additional discounts. Your credit card will be charged in British Pounds although the prices are shown in USD. The amount will vary with the exchange rate.